Fifteen-passenger van option. Do you have the occasional need to transport ten or more people to and from a given destination? 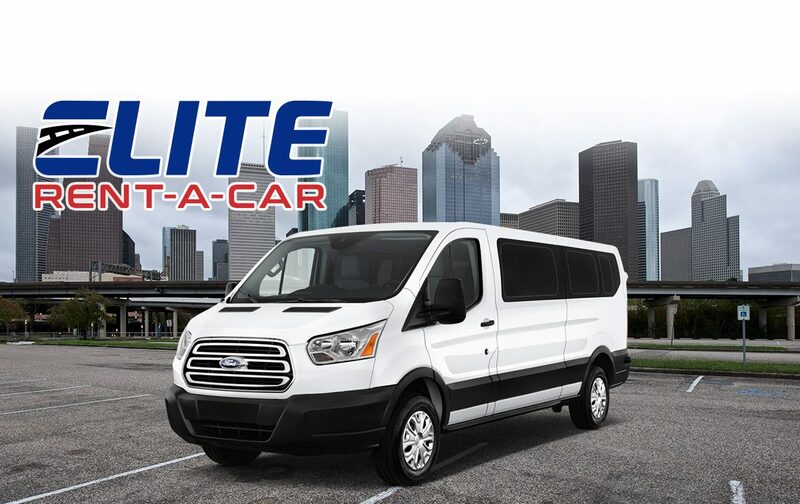 Elite Rent a Car offers, among its many vehicle rental options, a fifteen-passenger van. The perfect vehicle for large family gatherings, for congregation outings, large executive groups, or any instance in which you might need a van. Like the rest of our fleet, our vans are well maintained ensuring you get a dependable, reliable transportation every time. Elite Rent a Car offers special corporate rates that can help your companies with local transportation needs. If your company needs to move a team of executives around the Houston area, a viable solution is our fifteen-passenger van. You save by only renting one vehicle and taking advantage of our corporate rates! If you have a large gathering in which you might have folks come into town to participate in an event, consider renting a van from Elite Rent a Car. Once again, our fifteen-passenger van option can help you transport people in an efficient, economical way. With only one rental fee you can accommodate up to 15 guests. Perfect to help those relatives attending a wedding who happen to come from out of town. Not everybody owns a car. When a congregation needs to move people around, a larger vehicle might be the perfect solution. Especially for the older folks that might want to participate in said events. Our 15 passenger van proves to be the ideal option. If you work in a church and are in need of transporting members of your congregation, don’t look further than Elite Rent a Car.